Welcome To Jazz Without Borders! 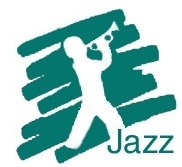 Jazz Without Borders Music Publishers! For arrangements, navigate the column at left to the different genres. Each genre includes written arrangements, and some have demo recordings for your listening pleasure. Jazz Without Borders offers music educators and other ensemble directors a place to find fresh, new, exciting music for your performing groups. Simply use the list at far left to discover the great music we have to offer for all types of ensembes in various exiting and relevant genres. Jazz Without Borders also offers marching band arrangements. But not the typical, standard fare. The music here was written to be unique, original, and special takes on great music. It, too, crosses borders. Jeff is a composer/arranger of jazz and contemporary music. His pieces include repertoire for big band, jazz combos, steel drums, concert band, vocal groups, solo instruments, and electronic music. He studied composition and philosophy at the University of Pittsburgh and the University of Massachusetts. Along with jazz, he is also interested in polystylism - combining different styles of music in dynamic ways. See and hear his work here, as well as in our JAZZ, Big Band and JAZZ, Small Swing Bands and Combos sections. Jazz WithoutBorders is seeking new artists and composers eager to try a new way to get their work out into the world. If you are an arranger/composer with something new and fresh to say and not currently under exclusive agreement with another publisher, Jazz Without Borders would like to invite you to sell your work here! An exciting new piece for big band by Eddie Carr. "Swing State" is a challenging work for an advanced ensemble. The drummer gets a lot of play, with brushes at the beginning and lots of soloistic sections throughout. A ballad section in the middle features a long and flowing trumpet solo. Large amounts of swinging counterpoint dominate the final section of the piece. Register to vote for the swing party, and enjoy! This one sounds like a little like an old 50's detective movie, with a Harmon muted trumpet and a lush sax soli. Then there is the Reggae groove behind the ad lib trumpet, some double time, and a screaming shout chorus. Listen for quotes from Mancini and Harlem Nocturne. A fun, pleasing, and modern tune. A light, straight-eighths Fusion groove. Open solos for anyone. Easy to learn, but great sounding. Modern, contemporary. Premiered by the Maryville University “Kitchen Sink” jazz ensemble. In keeping with the Mid-Sized Band concept, this tune is available in a 4/3/3 winds version as well the standard 5/4/4 big band set up. Written for Alto Sax, Tenor Sax, Bari Sax, 2 Trumpets, 1 Trombone, Guitar, Piano, Bass, and Drums. A basic swing chart for the younger ensemble, but with a lot of the goodies that are so central to good big band writing: a sax soli, counterpoint between the reeds and the brass, multiple soloists with background figures, an acapella tutti section, a little bit of a backbeat, and a shout chorus. Learn about it by clicking on the Navigation Button, above and to the left. A program for young musicians aged 12-17 (grades 7-12). Be part of something amazing. 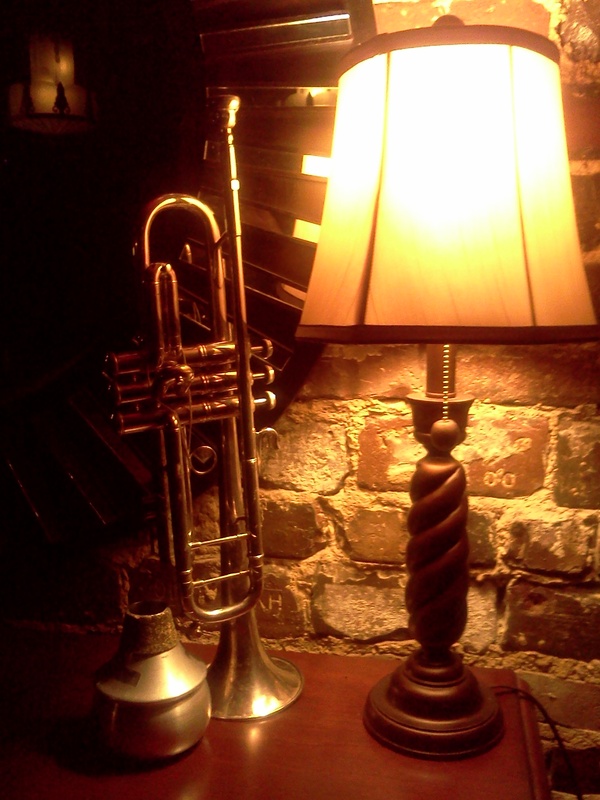 Multiple bands in the folllowing styles: Big band, swing, salsa, funk and R&B. We are seeking wind players (sax, trumpet, and trombone), rhythm section players (guitar, piano, bass, and drums), and both male and female vocalists. Rehearsals will culminate in a performance with a special guest artist. In addition, a professional recording will be produced.